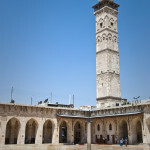 The World Monuments Fund has announced its 2014 Watch List for cultural sites at risk by changes in economy, society, and politics within their respective countries and disrepair due to natural forces. For 2014, the Monument Watch List, compiled and released every two years since 1996, has cited 67 heritage risks in 41 countries and territories around the world. 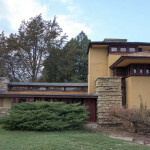 These sites range from Frank Lloyd Wright’s 1911-built Taliesin home in Wisconsin, submissive to elements of weathering, to the tree-lined Palisades cliffs in New York and New Jersey, jeopardized by corporate construction plans, to all of the cultural sites of Syria, risked by current war conflict. 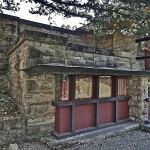 The low-lying structures of Taliesin seem in harmony with the rugged landscape, neither feature imposing upon the other. But the forces of nature, including exposure to the elements over time, have put the complex at risk. 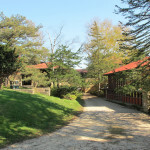 Taliesin was included on the 2010 Watch to draw attention to these issues, and now the Hillside Theater, the most public of the spaces at Taliesin, is suffering from water infiltration, perimeter drainage issues, a failing roof, and other problems with the building envelope. 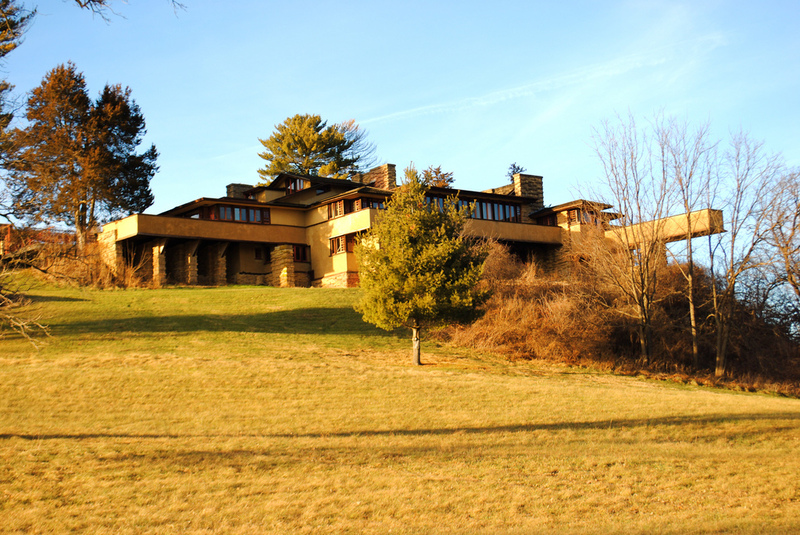 Due to the experimental nature of the design and materials used to construct Taliesin, the structures face special conservation challenges requiring extensive research and innovative solutions. 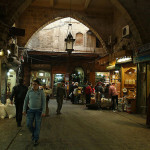 Escalating violence in Syria since 2011 has had devastating effects on the country’s cultural heritage. 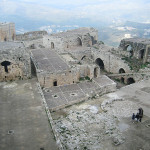 From the ancient souk, or marketplace, in Aleppo, to the iconic Crac des Chevaliers—two castles that were built between the eleventh and thirteenth centuries as regional fortifications during the Crusades—to Qal’at al-Mudiq, an archaeological tell that forms part of the classical city of Apamea, the destruction of Syria’s most significant and symbolic sites is of urgent and primary concern, with irreversible implications for the country’s architectural legacy. The Cloisters Museum itself houses the Metropolitan Museum of Art’s collection of European medieval art and incorporates monastic architectural elements in its design including stone and stained-glass panels for the doors, and windows. 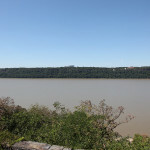 Since its opening in 1938, a defining feature of visiting the Cloisters is an extraordinary vista across the Hudson River to the Palisades. 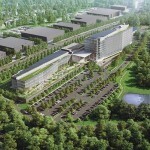 Plans are underway to construct a corporate headquarters and a residential complex on the New Jersey side of the Hudson River, modifying zoning legislation to accommodate towers that rise above the once protected tree line of the Palisades. … An appeal is underway, and it is hoped that inclusion on the Watch will raise awareness about the loss to future generations posed by this development and others that may follow. After a 9.0 magnitude earthquake and related tsunami hit Japan on March 11, 2011, the World Monuments Fund set the heritage sites of the coastal regions of Tohoku and Kanto on its 2012 Watch List. Since then, the WMF collaborated with the Foundation for Cultural Heritage and Art Research to save over 700 national monuments affected by the disaster. Several historic architectural structures were damaged or destroyed by the power of the quake. 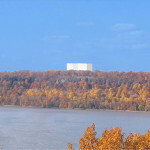 Although progress has been made, the landmarks which are important to the tourism of the region, are still at risk, in need of grants for continued restoration. 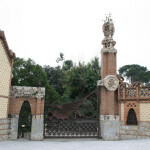 After Güell’s death the estate was converted into a palace for the Spanish Royal Family. 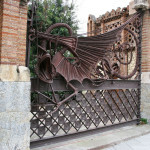 The site was later acquired by the University of Barcelona during its expansion into this area in the 1950s, and it now forms part of the Avinguda Diagonal campus of the university. Public access to the garden has been limited, but a new master plan prepared by the university and the city’s Municipal Institute of Urban Landscape and Quality of Life provides for improved access to the site by visitors and expanded use for university events. 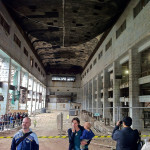 Repairs to the structures are necessary, and a project to rehabilitate the roof of the stable is already underway with funding from the Spanish Ministry of Education. More resources are needed to implement this well-conceived plan for the benefit of all citizens of Barcelona, and the millions who visit this enchanting city every year. 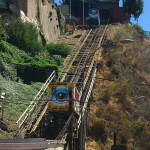 The Elevators of Valparaíso have been included on the 2014 Watch to emphasize the continuing need for the restoration of the city’s most picturesque feature and an important vehicle for social interaction. 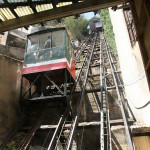 The elevators have served as the main method of transportation along the city’s steep topography and were fundamental to its urban development. They symbolize Valparaíso’s preeminence as a maritime center, a position it lost after the opening of the Panama Canal in 1914. Of the 31 original elevators, only 15 remain, of which just 7 are operational. The loss of these vital transit arteries has had negative impacts on the city. 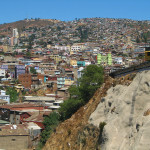 A plan unifying community, municipal, and private entities in a collective effort to protect and maintain the elevators is needed to ensure their long-term survival and the revitalization of important neighborhoods in Valparaíso. 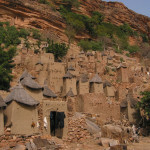 Since armed conflicts began in Mali in 2012, the country’s heritage sites have been endangered and have suffered some damage. 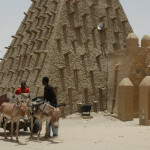 According to the WMF, “nine of the sixteen mausoleums within the World Heritage Site boundaries of Timbuktu were destroyed by rebel forces.” And now, troops are advancing to encroach on the Bandiagara Escarpment in Dogon country and the natural material architectural structures there. 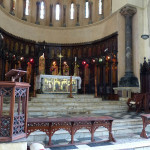 Stone Town has a number of important sites that together have created a vibrant tourist industry, but sectarian conflict, lack of financial resources, and political issues pose ongoing challenges to implementing restoration projects on many of its sites. Nevertheless, plans are under development for formal training and capacity-building programs at Christ Church Cathedral, and there are strong networks in place for local stewardship of the site. 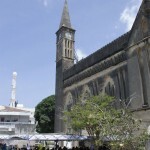 Christ Church Cathedral and the Former Slave Market Site is included on the 2014 World Monuments Watch to promote its conservation and its role in a broader revitalization strategy for Stone Town; one that will be compelling to the international community but will also support Zanzibari citizens and their local economy. 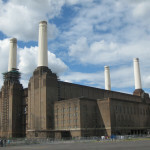 Since 1983, Battersea Power Station has been closed to the public, marking a thirty-year period of abandonment and lack of appropriate maintenance. The station was first listed on the Watch in 2004, and its impending demolition was averted. Ten years later, the Power Station’s future is once again in question. Located on prime London real estate, the site is slated for imminent redevelopment. 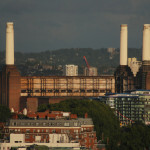 There is concern that current plans do not adequately protect the iconic chimneys and the important viewsheds of the power station’s silhouette. The local community is engaged and vested in the future of their swathe of London, and the international community recognizes the cultural significance of this twentieth-century icon. Inclusion on the Watch seeks to reinvigorate and contribute to conversations regarding the long-term stewardship of Battersea Power Station.